Palm Beach Gardens Homes & Palm Beach Gardens Condos List by "Subdivision Name"
Palm Beach Gardens Real Estate Properties by "Price Range & Type"
Palm Beach Gardens which are also known as 'Garden City' located in America in State of South Florida. This exotic place is surrounded with the epitome of serene beach views, condos and apartments. All regular facilities like schools, medical centers, and shopping arenas are available, you can meet your needs conveniently here at this place. Palm Beach Gardens was first developed by McArthur 1960, who was a multimillionaire and landlord. He decided to make this barren beach land into the human community. He invested a large sum of money to and developed this beach island into the city where he utilized 4000 acres to build homes for 55,000 people at that time. He enriched the street look by planting seasonal flower, lights and made that place worth living. 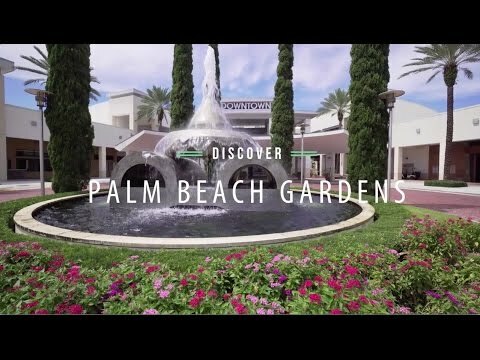 Now, Palm Beach Gardens are one of the fascinated destinations with all the possible commodities and standard of living there. The population of Palm Beach Gardens, Florida is currently 8,348 by now and expected to rise in the future. You can see that this location has all sorts of living and commodities from beaches, to shopping malls, high schools, golf courses, hospitals, police stations, security departments, playgrounds, restaurants and cafes, fun parks and wildlife areas. What's more one can desire for. These all places have legit structures and infrastructure. Moreover, if you are looking for something soothing and to pamper yourself, there are spas and salons to accommodate your beauty cravings. The popular spas are Lane Spa, the Spa at PBG national resort and massage heaven. Mostly population is white which is 77%, 5% are black, 3% are Asians while other claims belong to some other areas of the world. The average age of people living there is of 48-50 years. There are mainly 19 high and secondary schools are located from K-5 to PK-8. The classification of schools is mostly private, public and charter. Palm Beach Gardens, Florida, gets 58 inches of rain for each year. The US normal is 39. Snowfall is 0 inches. The normal US city gets 26 inches of snow for each year. By and large, there are 237 sunny days for each year in Palm Beach Gardens, Florida. The July high is around 90 degrees F. The January is as low as 55 degrees F.
Palm Beach Gardens astonishes one with its serene beach views and exotic resorts. That clear blue sea water with sparkling sand waits for palm beach vacationers or who wants to buy the property here. The ideal location for those who want to soak up the smooth sun rays and to make a dip in a warm blue sea. 'Lake Worth beach' is an ideal place to have a family time with children. This lake has a playground, restrooms, and eateries just at a little distance from a shoreline. Therefore, Palm Beach Gardens are one of finest places if you retired and a newlywed couple who want to have some good times over here. So, book your resorts or buy your own property over here to spend some good family time or to have a good standard of living.